Just as its name implies, Invisalign Teen® is an aligner system with features geared toward teens who are still growing. One of the most notable differences between Invisalign Teen® and its parent product is the compliance indicators. Invisalign® doesn’t work if the aligners aren’t worn, so a product such as this doesn’t work if the patient isn’t compliant. Little blue dots on the Invisalign Teen® aligners that fade only when worn as directed are a great way for Dr. Chris Tsintolas to be sure the aligners are worn as prescribed. Compliance indicators have become a good selling point for the parents of our patients, because they too can look at the aligners and tell whether their child is wearing them as directed. Teens have a greater tendency to lose or misplace aligners, so Invisalign Teen® offers up to six free replacement sets of aligners, should some get lost or broken. The teen product also incorporates uniquely engineered features that address the natural eruption of second molars in teenage patients. Undergoing Invisalign Teen® treatment with an orthodontist is particularly important if teeth are still erupting, because if molars don’t erupt properly that could require an additional treatment method before Invisalign® treatment can continue. Dr. Tsintolas carefully monitors Invisalign Teen® treatment and is prepared to address all issues that may arise. Like the parent product, Invisalign Teen® is loved by patients because it gives them the freedom to remove the aligners for memorable moments, such as homecoming and senior photos. 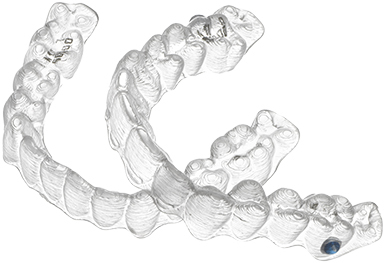 Although Invisalign Teen® is offered by dentists and orthodontists, there is a difference between these two providers. An orthodontist completes an additional two to three years of education after dental school to gain increased understanding of tooth movement and dentofacial structure. 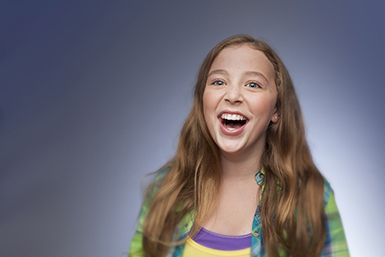 As your child progresses through Invisalign Teen® treatment you can rest easy that you selected a specialist to actively oversee your child’s care and monitor tooth movement, changes to the bite, and facial esthetics. Trust your child’s smile to a specialist in orthodontics and dentofacial orthopedics. Contact our office today if you would like to schedule a consultation and determine if Invisalign Teen® treatment is right for you.